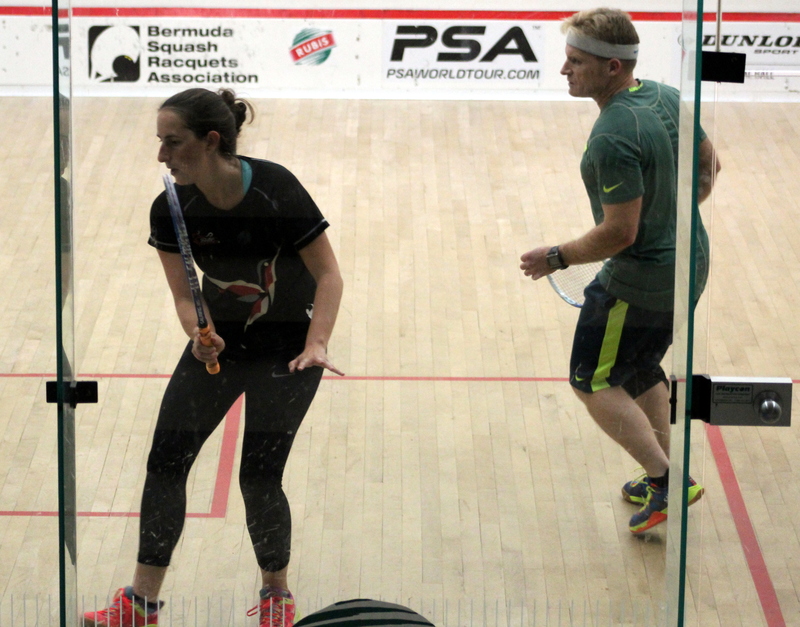 The RUBiS Graded Squash Tournament 2018 continued inside the Bermuda Squash Racquets Association Club with a full slate of matches on tap. Bermuda number one and current professionally ranked 185th Noah Browne will meet Patrick Foster in final after both players advanced. Browne defeated Anthony Fellowes in straight games 11-6, 11-6, 11-7, while Foster needed four games to defeat Hadleigh Farrer 11-5, 7-11, 11-5, 11-9. A total of four games needed a fifth game to decide a winner, in Division E action Florin Radu defeated Geoffrey Redmond 11-7, 4-11, 11-7, 5-11, 11-5, while in Division F Ian Fox defeated Mark Zuill 6-11, 11-5, 11-4, 6-11, 11-6. Podge Browne defeated Colin Couper 2-11, 11-8, 3-11, 11-7, 12-10 in their Division B Consolation match, while in a Division D Consolation match Meagan Jackson defeated Kyle Thomson 11-7, 9-11, 6-11, 11-8, 11-8.